The technology sector is hot and getting hotter, but some specific skill sets are needed more than others. 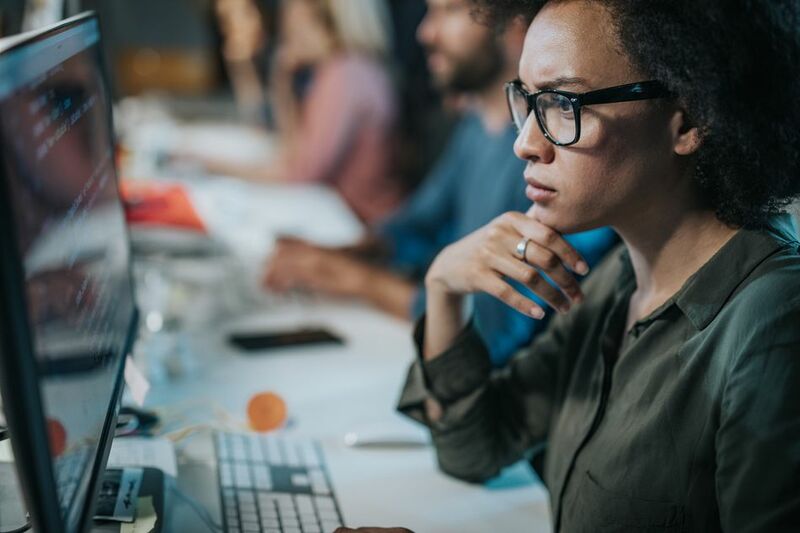 Here are seven of the specialized tech job titles that are expected to be in strong demand for the foreseeable future. Database administrators (DBAs) manage an organization’s data. They ensure that databases run efficiently and are secure from unauthorized users. DBAs are also responsible for organizing a company’s data and storing it efficiently. The job generally requires a bachelor’s degree in management information systems (MIS) or a computer-related field. Moreover, DBAs must have an understanding of database languages, the most commonly used being Structured Query Language, also known as SQL. A DBA will have to become familiar with whichever programming language an employer uses. The creative mind behind a computer program is a software developer. Some software developers create applications, while others build systems. They usually work alongside computer programmers. Software developers typically have a bachelor’s degree in computer science, software engineering, or a computer-related field. A degree in mathematics is acceptable in some cases. Given today's online coding boot camps and other unconventional learning systems, a traditional academic education is not always a requirement. Web application developers use programming languages to create online software that meets client specifications. A developer may work in multiple programming languages and operating systems. Employers typically look for computer-related education and relevant work experience. With the high demand for these skills, a formal degree is not always required. Out of the seven tech careers in this list, a prospective web application developer has the most coding boot camp courses available to them. Computer systems analysts investigate a company’s computer systems and procedures, then design or revamp them to make the organization operate more efficiently. They must have have an understanding of both business and information technology (IT) needs and limitations. Their responsibilities include consulting with managers to determine IT-related needs. Most computer systems analysts have a bachelor’s degree in a computer-related field. However, since they work closely with the business side, many also have a business background by experience or education. Mobile app developers create new products or adapt existing ones for use on phones and tablets. Creative companies across industries, including video game studios, advertising, and marketing firms, now recognize mobile as a powerful content distribution channel. Developers are also in demand from government agencies, financial institutions, and industries that need more prosaic products to make their operations run more efficiently. Mobile app developer is listed at number three on the top 10 best jobs of the future list by ThinkAdvisor. Most have a background in software engineering or computer science. Some colleges now offer degrees in mobile development. Market research analysts help companies understand what products people want, who will buy them, and at what price. They collect data on consumers and products, analyze the findings, and prepare reports for use by their colleagues and clients. Market research analyst is listed at number 9 of the top 10 best jobs of the future by ThinkAdvisor. Professionals in this job come from many backgrounds. According to the Bureau of Labor Statistics, some have degrees in statistics, math, or computer science while others have backgrounds in business administration, the social sciences, or communications. Information security analysts coordinate and execute measures to protect an organization's computer networks and systems. A defining characteristic of people in these positions is adaptability to change because a security breach can occur at any time. Most information security analysts have a well-rounded computer education, including a bachelor’s in computer science, programming, or a related discipline. Given the demand in this field, colleges are responding with majors in information security. If you are interested in a career in technology, consider specializing in the skills needed for one of these seven jobs. They have staying power in today's world.